During an aerial application flight, the airplane collided with a transmission line during a turn. The line became entangled with the airplane, and the airplane collided with terrain. Examination of the airplane did not reveal any preimpact anomalies that would have precluded normal operation of the airplane. The pilot's medical certificate had expired several months before the accident. The pilot had been diagnosed with depression, diabetes mellitus, diabetes insipidus, hypogonadism, hypothyroidism, and hypoadrenalism; however, he had not reported any of these conditions or the medications used to treat them to the FAA. It is unlikely that the pilot's diabetes insipidus, hypogonadism, hypothyroidism, or hypoadrenalism or their treatments contributed to the accident. However, his poorly controlled diabetes mellitus could have led to high blood sugar, which can result in blurred vision, or low blood sugar, which can slow psychomotor functioning Additionally, the pilot was known to have peripheral neuropathy with decreased sensation in his feet and a foot drop, which could have impaired his physical ability to use the rudder pedals. It could not be determined if the pilot's diabetes mellitus contributed to the accident. Further, the status of the pilot's psychiatric disease, including the severity of symptoms from his depression and any other psychiatric symptoms, around the time of the accident is unknown. Therefore, whether the pilot's psychiatric disease contributed to the accident could not be determined. The pilot's failure to maintain clearance from a transmission line while maneuvering at low altitude. 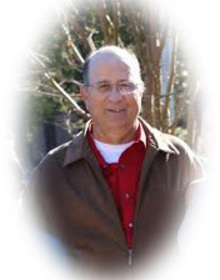 Michael Alan Burnette went to be with the Lord August 8, 2016 at the age of sixty-one. He was born in Kansas City, Missouri on September 29, 1954, the son of Norman Lee, Sr. and Carmen Marie Hernandez Burnette. Michael attended Arkansas State University in Jonesboro, Arkansas and graduated with a Bachelor’s Degree in business. He was the owner of Burnette’s Flying Service and absolutely loved flying. He enjoyed reading any kind of history books and was a devoted History Channel buff. Michael adored his family and friends and always loved spending time with them. On August 8, 2016, about 1415 central daylight time, an Air Tractor AT-502B, N634LA, impacted a bean field following a collision with a transmission line near Hickory Ridge, Arkansas. The commercial pilot was fatally injured, and the airplane was substantially damaged. The airplane was registered to and operated by Burnette Aviation, Inc., under the provisions of 14 Code of Federal Regulations Part 137 as an aerial application flight. Visual meteorological conditions prevailed at the time of the accident, and no flight plan was filed. The local flight originated from a private airstrip at an undetermined time. 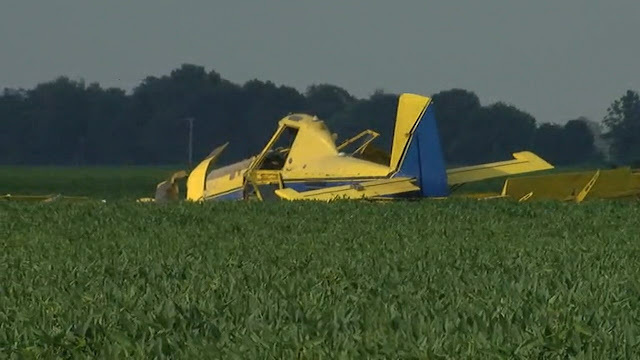 According to information collected by a Arkansas Highway Patrol trooper, the airplane was spraying a field when it collided with a transmission line during a turn. The transmission line got caught on the airplane's landing gear, and the airplane continued the turn before it impacted terrain. The pilot held a commercial pilot certificate with ratings for single-engine land, multi-engine land, and instrument airplane. The pilot's logbook was not located during the investigation, and the pilot's total flight experience at the time of the accident could not be determined. The pilot was issued a second-class medical certificate on January 29, 2014, with the limitation "must wear corrective lenses and possess glasses for near and intermediate vision." Using this certificate, the pilot would not be able to exercise any airman privileges after January 31, 2016. On his application for this medical certificate, the pilot reported having accrued 19,550 total hours of flight experience of which 300 hours were in the preceding 6 months. He reported that he was not taking any medication, had no medical conditions other than kidney stones in 1991, and had no healthcare visits other than a flight physical in 2013. The airplane was examined on-scene by inspectors from the Federal Aviation Administration (FAA) with the assistance of a representative from Air Tractor. All major components of the airplane were found at the accident site. The transmission line was entangled around the empennage and tailwheel. Flight control continuity was established from the cockpit controls to the elevators and rudder. The aileron controls were damaged and did not exhibit any preimpact anomalies. The flap controls were continuous, and the flaps were set to 5°. The pilot's restraints were found unbuckled. No anomalies consistent with a preimpact failure or malfunction were observed with the airframe or the engine. The Arkansas State Crime Laboratory, Little Rock, Arkansas performed an autopsy on the pilot. The cause of death was multiple blunt force injuries. According to the autopsy report, first responders noted that the pilot did not appear to have been wearing a safety helmet or pilot restraints. The FAA's Bioaeronautical Sciences Research Laboratory, Oklahoma City, Oklahoma, performed toxicology testing on samples from the pilot. Testing was negative for carbon monoxide and ethanol. Testing detected acetaminophen, citalopram and its metabolite N-desmethylcitalopram, and pioglitazone in urine. Citalopram, N-desmethylcitalopram, and pioglitazone were also identified in heart blood. Acetaminophen is a pain and fever medication available over the counter and commonly marketed as Tylenol; it is not impairing. Citalopram is a prescription antidepressant commonly marketed as Celexa. Pioglitazone is a prescription medication used to treat diabetes. While citalopram is not generally considered impairing, its use indicates that the pilot was being treated for depression, which is associated with significant cognitive degradation, particularly in executive functioning. As a result, depression is a disqualifying condition for pilot medical certification. The FAA will consider a special issuance of a medical certificate to a depressed pilot after 6 months of treatment if the applicant is clinically stable on an approved medication. Pioglitazone is not directly impairing, but the FAA requires regular additional evaluations of diabetic pilots to ensure their diabetes is properly controlled and they do not have neurologic, renal, or ophthalmologic complications of the disease that might impair their ability to safely fly an aircraft. If specific criteria are met for the control of this disease, a pilot may be issued a medical certificate. Review of personal medical records from the pilot's endocrinologist showed that he had been diagnosed with type 2 diabetes mellitus in 2006. In 2009, he had brain surgery to remove a large tumor on his pituitary gland. As a result, he lost regulation of the hormonal systems usually controlled by the pituitary gland. He began to take replacement hormones for hypoadrenalism, hypothyroidism, hypogonadism, and diabetes insipidus immediately after the surgery. Over the ensuing years, the pilot developed peripheral neuropathy and kidney dysfunction from his chronic, poorly controlled diabetes mellitus. At one point, he burned his foot because he could not feel it, and he developed a right foot drop. The records indicated that the pilot refused to consider using insulin to treat his diabetes mellitus because it would not be allowed by the FAA. At his most recent endocrinology visit in April 2016, the pilot's medications included: citalopram; desmopressin (a hormone that treats diabetes insipidus); glimepiride, metformin, pioglitazone, and Victoza to treat his diabetes mellitus; hydrocortisone (to replace cortisol); levothyroxine (thyroid replacement); and pregabalin (a potentially impairing medication used to treat chronic nerve pain due to diabetes). One of the pilot's family members made a call to the FAA safety hotline in March 2016 reporting that the pilot was falling frequently and having trouble getting up afterward, taking "heavy duty psych meds," and having fits of rage where he would threaten to crash his airplane into a variety of targets. In April 2016, the family member made an email report to the FAA describing the pilot's medical conditions. The FAA requested information from the pilot in April 2016. This issue was being evaluated by the FAA at the time of the accident. On August 8, 2016, about 1415 central daylight time, an Air Tractor AT-502B airplane, N634LA, impacted a bean field following a collision with a transmission line near Hickory Ridge, Arkansas. The commercial rated pilot was fatally injured and the airplane was substantially damaged. The airplane was registered to and operated by Burnette Aviation Inc. under the provisions of 14 Code of Federal Regulations Part 137 as an aerial application flight, which operated without a flight plan. The local flight originated from a private airstrip at an unknown time. According to initial information obtained by investigators, the airplane was spraying a field when it collided with a transmission line during a turn. The transmission line got caught on the airplane's landing gear and the airplane continued the turn before it impacted terrain.